ER William Ebenezer Bubs II (“Willie”) is a bay 1999 Mustang gelding who was saved from slaughter as a three-day old colt, at the time still at the side of his wild mustang mother. 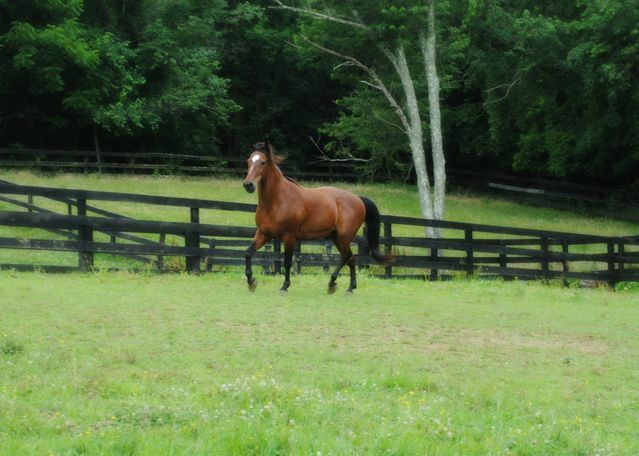 He was halter-trained as a young horse, but has spent the past several years untouched. He returned to PKF in 2018 at no fault of his own, and is learning that humans make great cookie-dispensers and give great scratches. With patience and the right handling, he would make someone a special friend. Willie and Jake are a bonded pair and we would prefer to adopt them out together.